Living… with the Barclay family. 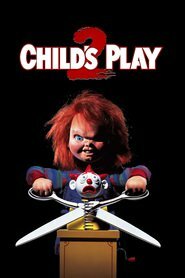 Chucky was purchased by Karen Barclay for her son’s ninth birthday, who's wanted a toy doll for ages. Little does Andy know, however, that he’s befriended a deadly psychopath. Visiting… his old enemies. Everyone believes that Charles Lee was killed in a confrontation with homicide detectives. 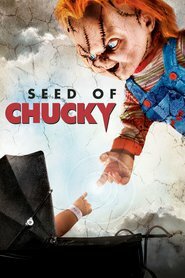 Charles, back in the form of Chucky, has some unfinished business to tend to. Interests… voodoo and murder. 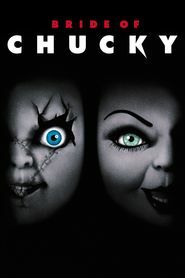 Chucky’s voodoo mentor, a man named John, believes that the murderer has “perverted everything” about the art of voodoo. Such black magic should not be used for evil. Challenge… possessing Andy’s body. 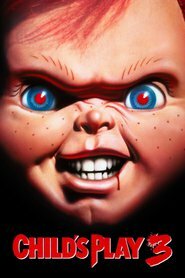 If Chucky does not possess the body of the first person he's revealed himself to, he'll be forever stuck as a doll. Chucky has grand plans for himself, and can’t afford to be trapped in this puny form for much longer. Personality… psychotic and vulgar. 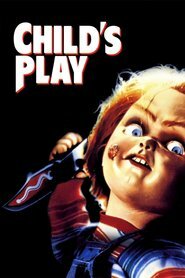 When not his true self, Chucky plays the role of the innocent doll. In between his curse-filled rants, he lets out eerie, lifeless phrases such as, “Hi, I’m Chucky, and I’m your friend till the end. Hidey-Ho!” Don’t let this innocence fool you— Chucky is as dangerous as they come. Chucky's popularity ranking on CharacTour is #1164 out of 5,000+ characters. See our top-ranked characters and read their profiles. It's been eight years since the events in the second film, we now see that Andy is a teenager who has been enrolled in a military school. Play Pals Toy Company decides to re-release its Good Guys line, feeling that after all this time, the bad publicity has died down. As they re-used old materials, the spirit of Charles Lee Ray once again comes to life.